What if you woke up in the middle of an Indian jungle wearing only your boxer shorts, to find that you had complete amnesia? This is exactly what happens to Paul, the free spirited traveler and student of yoga. While on retreat from their hectic New York City lifestyles, Paul and his friend head into the jungles of India to escape the touristy streets and hike to a nearby waterfall. Deep in the jungle they stop for a swim. Afterward, Paul goes running off alone, finally hopping up on a felled tree to see how far he had gone. Suddenly he slips, smacking his head on a rock below lying unconscious in thick brush, rendering him invisible to any search attempts. The next morning he wakes up with a massive headache and complete amnesia. He is discovered by a couple of small tan monkeys, and realizes that although he doesn’t remember who he is or where he belongs in the world, he has the uncanny ability to speak to animals. Mystical monkeys, magical Babas, a hilarious-egotistical tiger, a beautiful butterfly and lone wolf, are just a few of the many allies that help guide him through this magnificent and dangerous world toward Shambhala-a place where he is told that all of his questions can be answered, including that of the immense suffering he encounters at every turn. Great wisdom brings him deep into his heart and high up into the cold mountains, where alone he risks certain death, to find answers at a place he is not even sure exists. —Beverly Nadler, Author of "Vibrational Harmony"
"The ancient paradox is true: 'The only thing that is constant is change.' Change is also the hardest thing. But if you are tired of the habits, ruts, and routines that are leading you nowhere, let Brian E. Miller be your guide to a richer, more fulfilling way of being." "Brian's insightful book offers simple yet effective ways to transform self-destructive habits people often find themselves repeatedly engaging in. Through his positive and enthusiastic manner, Brian empowers and encourages individuals to be proactive in transforming their lives. In his book, Small Steps to Giant Leaps, he offers down to earth, skillful suggestions that lead many along the path to an enlightened sense of self-determination. Positive, uplifting, and an easy read, Small Steps to Giant Leaps is just the mindful walk we can all benefit from!" Often when we look at our lives we feel unfulfilled. We feel stuck in external situations and ways of being or thinking and feel we cannot change. So instead of creating the life we wish to experience we settle for the life we feel we have. The reality is that we can create the joyful and abundant life we wish to experience by learning to become the conscious creators of our lives right now. Each one of us holds the power to manifest our reality if we just understand the basic components of how reality is created. Although we often feel fixed and limited, the truth is that we are constantly changing and creating. The problem is that most of our manifesting is happening on an unconscious level, and very often from insecure fear and worry-based thoughts that sabotage and limit us from what we wish to create. Fortunately we can turn this seeming problem into an opportunity by learning the inner workings of the mind and consciously implement these workings for our benefit and the benefit of all. Joining ancient wisdom with modern science and psychology, we will explore and implement simple yet very powerful creation tools that will give you the power to manifest the life you wish to experience. We will learn how to overcome self-limiting beliefs and habits that often sabotage our relationships, opportunities for abundance, joy, and so much more. Are you ready to become the conscious creator of your life? Are you ready to be the master of your destiny? 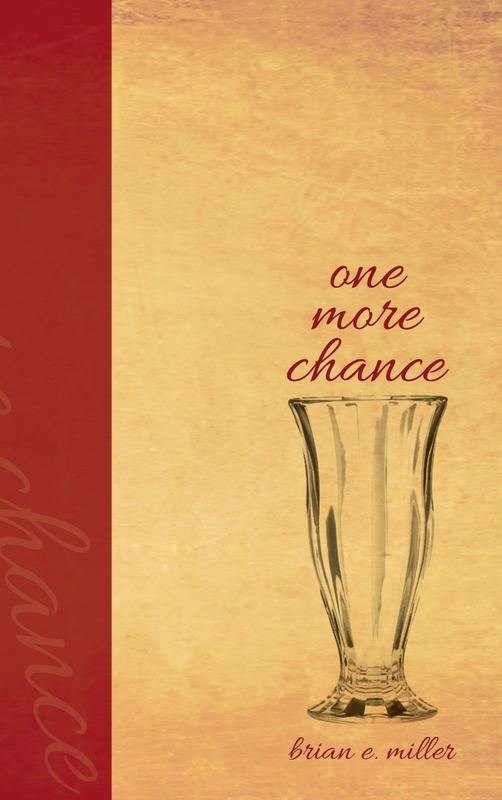 "If you like Scrooge and his Ghosts in A Christmas Carol; George Bailey and Clarence the angel in "It's a Wonderful Life," then you'll enjoy meeting John Meyers and his Old Man in "One More Chance." -John Hanc, author of the award-winning memoirs "Not Dead Yet" (with Phil Southerland) and "The Coolest Race on Earth. “This is the story of one man’s journey of ego transcendence, lessons he learns by being forced to review his history of psychological formation, a journey that brings him freedom." On a snowy Christmas Eve, successful business executive John Meyers makes his way back to his homestead on Long Island from his office in Manhattan. Upon arrival, his family is all out shopping and being merry. This particular Christmas Eve will be one that changes the perspective of John’s life forever. Entering his house and putting on some Christmas music, he grabs his chest and falls to the floor as a heart attack flashes his life before his eyes: all of his successes, all his accomplishments. But what was it all for? he thinks as his heart stops, his conscious mind drifting away. John embarks on a fantastic journey through his past, where he is brought back to events and circumstances that led him to where he is today.When he meets a strange old man who guides him through this dreamlike world of yesterday, he is able to witness and partake in all of the choices he had made in his life, from his innocent and nostalgic childhood up to his current adult life. Not knowing if he is dead or dreaming, he wonders if he will be able to change the circumstances of his life or just remain a hostage witness to all he has created. We follow John along a journey of joy and sorrow, forgiveness and regret, as he tries to make sense of it all.